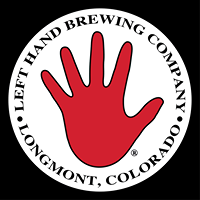 “Brewed on the banks of the mighty St. Vrain,” Left Hand Brewing has been brewing in Longmont since 1994 and has grown to be the 38th largest craft brewery in the U.S. The Left Hand taproom has a true Colorado vibe, with its predominantly wood structure, expansive patio and mountain views, it’s a must-see on the Brewhop Trolley route. Perennially Left Hand continues to wow beer enthusiasts (and festival judges) with their Milk Stout and Sawtooth Ale. However, don’t forget to branch beyond these favorites to sample their seasonal and limited release brews during your visit. In the community, Left Hand is well-known for their philanthropic efforts (Team Left Hand and Bike MS, local sustainability efforts, and Left Hand Foundation to name a few) as well as epic parties (Hops and Handrails snowboarding fest, Nitro Fest, Oktoberfest and various concerts throughout the year). In 2016, Left Hand Brewing helped raise $805k to local and national non-profits. Pro-Tip: If you need to walk off that last round (or your food truck indulgence), you can walk about a mile along the St. Vrain river path to Shoes & Brews.